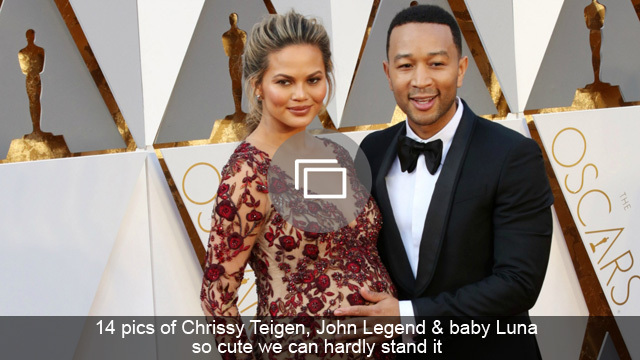 Is Chrissy Teigen taking it too far with her Twitter clap-backs? It can definitely be tough to let haters have the last word, but sometimes, for the sake of your own sanity, that’s just what you have to do, especially online, and especially if you’re famous. This might be a lesson that Chrissy Teigen still needs to learn. Teigen has been under fire on social media for the dress she wore to the AMAs, which had a slit so high, even a strategically placed safety pin couldn’t keep her goods under wraps on the red carpet. She already apologized on social media to “anyone harmed mentally or physically by [her] hooha,” but the snarky comments just kept coming, even as Teigen was trying to do a Thanksgiving dinner Q&A on Twitter Tuesday night. Teigen took breaks from answering her followers’ food questions here and there to clap back at haters, but there was one response in particular that showed just how over it she is now. Alivia herself didn’t mind the shade at all. But some others replied that Teigen was taking things a little too far, and that maybe she should chill out. Do you think Chrissy Teigen is taking her clap-backs too far?